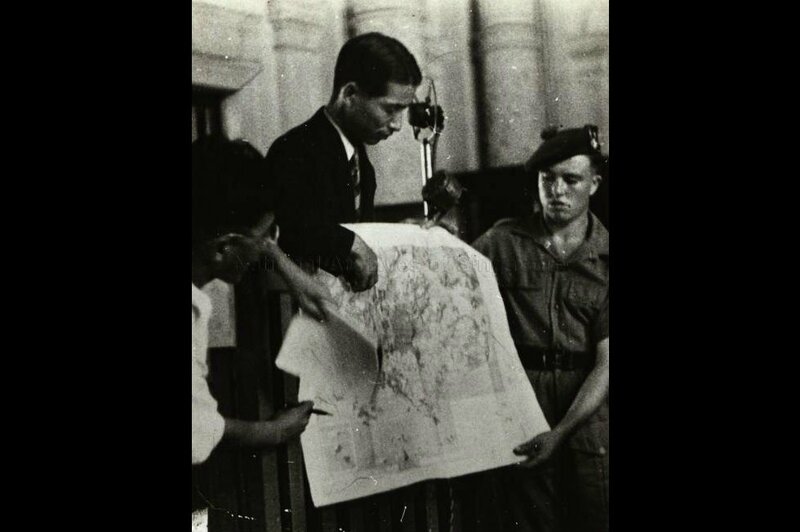 Japanese Counsel for the accused reading a map at the Sook Ching Massacre Trial at Victoria Memorial Hall, 1947. Image from the Tham Sien Yen Collection, courtesy of National Archives of Singapore. The five victims, who were members of a unit known as the Special Labour Unit, were arrested while attempting to desert from the Japanese lines. The victims were found to be in possession of confidential maps, gas masks and ammunition. The third defendant, Sergeant Katayose Nagaki, was ordered by a superior, one Major Ikegami, to execute the victims under Japanese military law. Katayose enlisted the aid of the first defendant, Sergeant Umeda Katsumi, and detailed a squad, which included the second defendant, First Class Private Iwase Katsuji. 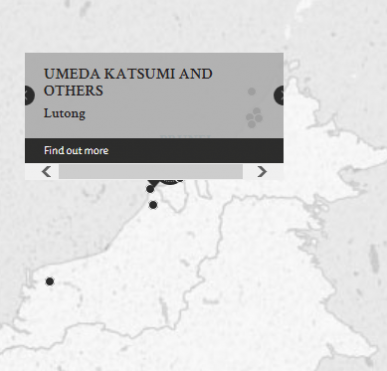 Iwase beheaded one victim, while Umeda beheaded three victims and shot one victim who tried to escape. Katayose was present and in command of the squad. The defendants admitted to being involved in the execution of the victims. However, they argued that it is improper to accept responsibility of the killing on the ground that they were merely following the absolute orders of their superior. Notably, a petition on behalf of Iwase and Katayose was submitted, reiterating this argument and submitting that the 15-year imprisonment term was too harsh. The DJAG held that the court failed to consider that the victims had sworn allegiance to the Japanese, thereby advising against confirmation of the case. Umeda, Katsumi. Sergeant. From Japanese military. From Japan. Guilty. 15 years' imprisonment. Sentence not confirmed. Iwase, Katsuji. 1st Class Private. From Japanese military. From Japan. Guilty. 7 years' imprisonment. Sentence not confirmed. Katayose, Nagaki. Sergeant. From Japanese military. From Japan. Guilty. 15 years' imprisonment. Sentence not confirmed. Hubart, A.A. Major. From British military. Brophy, P.M.N. Captain. From British military. Gihei, Tatsuzuaki. Judicial Staff of Japanese Navy, Japan.